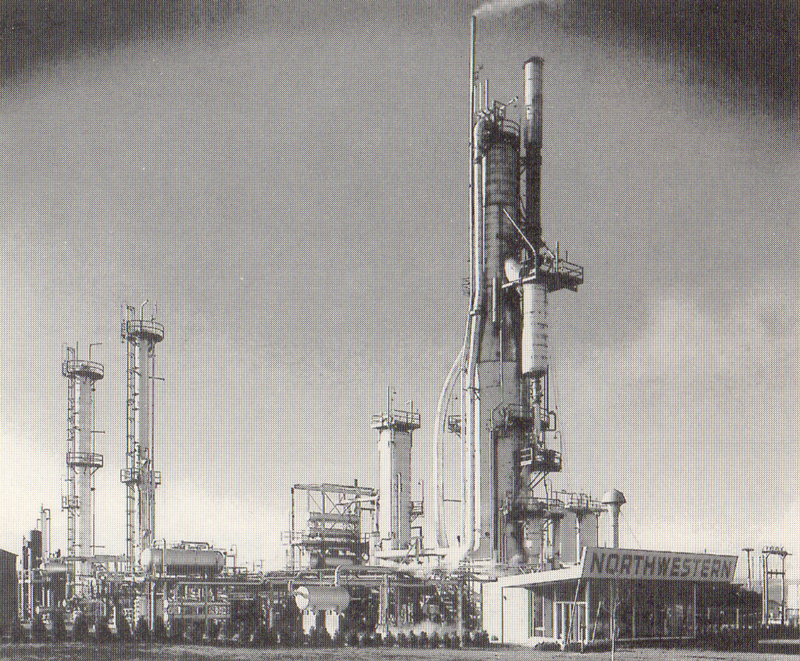 The Erickson Brothers founded Northwestern Oil Refinery in 1939. The refinery was shipped to us from the state of Texas and reassembled in St. Paul, Minnesota. It was a very small unit and not many fitters were on the project. The picture you see gives you an idea of what it looked like in 1955. Also in the fall of 1954, work had started on the Great Northern Oil Refinery (Pine Bend). That Refinery started refining its product in 1955.